July 7 – KRET carries on scientific work for the sixth-generation military aircraft. Systems and electronic warfare will provide individual protection and will be focused on resistance to threats. As it was previously stated, that the concern will create a special electronic warfare system for the sixth-generation military aircraft. The new sample will have almost complete automation of the entire o…n-board defense system. Antenna systems and instrumentation units will be integrated with the main avionics. This applies both to avionics of various radio frequency and to the communication systems, data transfer, identification of the state, navigation, central and peripheral computers and specialized calculators. This principle of integration is a fundamental approach to the design and construction of advanced aircraft’s electronic warfare, according to the concern’s press release. Systems and electronic warfare, fully integrated with the main avionics, are equipped with wideband receivers, covering the whole radiofrequency spectrum. Moreover, they use digital signal processing, that provides automatic software databases’ formation for radiation sources’ classification and identification and , finally, for the decision on the radio-electronic protection and electronic suppression, “- said the adviser of the first deputy director-general KRET Vladimir Mikheev. “In addition, the most advanced system provides highly accurate geolocation, sufficient for the use of guided weapons”, he added. Russian sixth generation military aircraft will be hypersonic, multifunctional and will be made of composites. It will have a booth, but can fly either with pilot inside it or without him. Aircraft’s sample will make its first flight in the period up to 2025. Russia is preparing for short-term deliveries of its President-S onboard defense system (ODS) for civil and military aircraft to Egypt, a senior Radio-electronic Technologies Concern (KRET) executive said Friday. MOSCOW (Sputnik) – ODS is designed to protect planes and helicopters from being hit by missiles, air defense and anti-aircraft artillery. 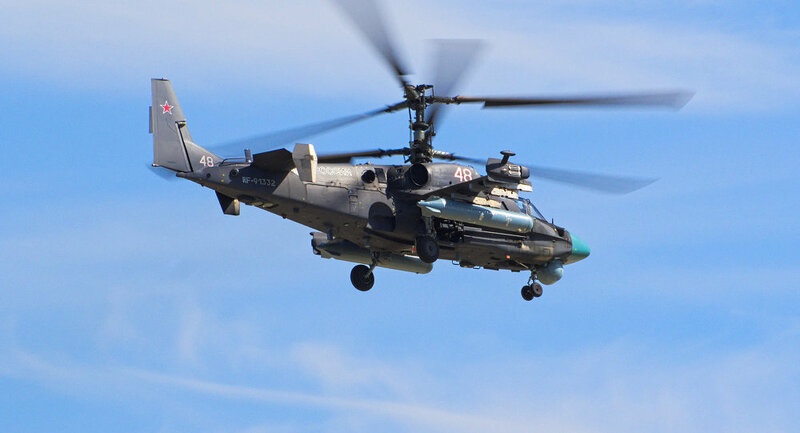 The defense system is currently installed on Ka-52, Mi-28 and Mi-26 helicopters. “The contract is there and we are working within its framework. Deliveries are about to begin. All our plants are now fulfilling the partnership order,” first deputy director Igor Nasenkov told reporters. Nasenkov specified KRET was not the “contract holder” in the deal.ODS includes a control device, a radar warning receiver station, laser and missile attack warning stations, an air dispenser for aircraft consumables, settings for active radio-interference stations, as well as a laser optical-electronic suppression station. The system allows automatic detection of a rocket launching in the vicinity and initiates passive and active interference in infra-red and radio frequencies, to disrupt a rocket’s targeting system. The ODS system can be located inside an airframe fuselage or as an external unit on helicopters and fixed wing aircraft. KRET, Russia’s largest radio-electronics company, was founded in 2009. The umbrella company, part of Russia’s state technologies corporation Rostec, unites over 95 individual business entities.